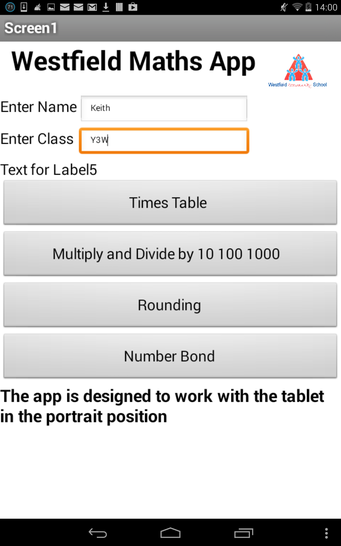 Westfield have developed a maths app to be used in and out of school for practising times tables and other maths topics. The school uses android devices and has been written specifically for the Nexus 7 tablet, but works on other android tablets and mobile phones. Each subject has different levels and the pupil is presented with ten questions. When the ten questions have been answered the answers are sent to a database in the cloud that teachers can view to see a pupil’s progress. The app is available to download on to personal devices. Please click here to download the app. The app, once downloaded, will probably be put in the Downloads folder. Using a file manager (we use ES file Explorer which is available free from the Play Store) click on the app to install it. There may be a setting that does not allow apps to be installed which are not from the Play Store, you may be guided to it, if so put a tick in the Unknown sources box, this can be taken out after the install. On the nexus running android 4.4.2 the setting is in Settings -> security. The app is still in development stage and has not been written to the standard of apps in the play store. It is written to be used as directed by a teacher, with teacher supervision. 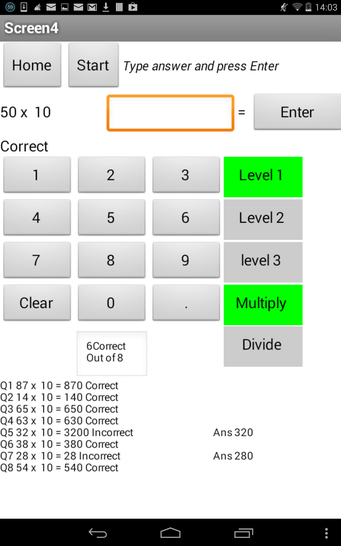 We are hoping to add other subjects and levels to the app. We would be grateful for any comments or suggestions you have about the app. THIS IS THE BEST APP EVER AND WESTFILED THE BEST!!!!!!!!!!!!!!!!!!!!!!!!!!!!!!!!!!!!!!!!!!!!!!!!!!!!!!!!!!!!!!!!!!!!!!!!!!!!!!!!!!!!!!!!!!!!!!!!!!!!!!!!!!!!!!!!!!!!!!!!!!!!!!!!!!!!!!!!!! !